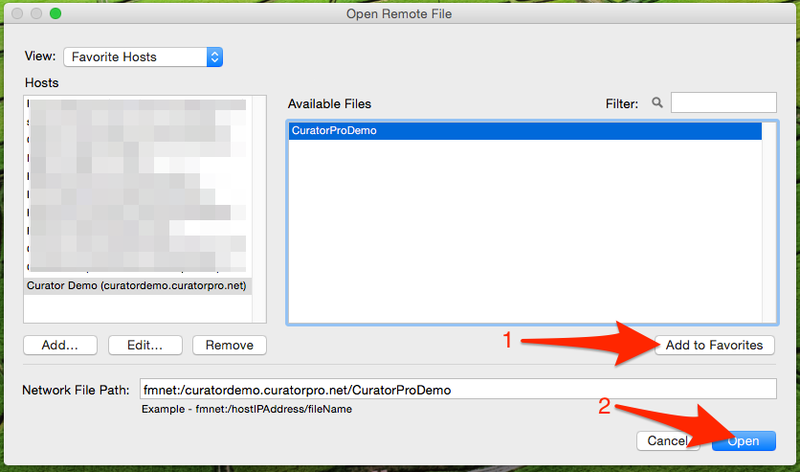 Here’s a guide on how to open Curator Pro from one of our cloud based servers. Once we’ve uploaded your file, we’ll let you know the domain name, and the user account details for your file. If you don’t have these yet, you can follow the instructions as shown below and user the username ‘demo’ and password ‘demo’. 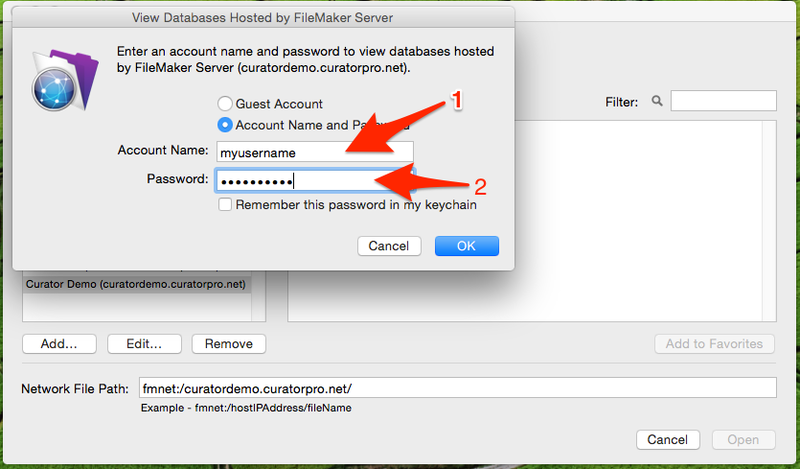 You’ll also need a copy of Filemaker Pro version 13 or later, already installed on your computer. 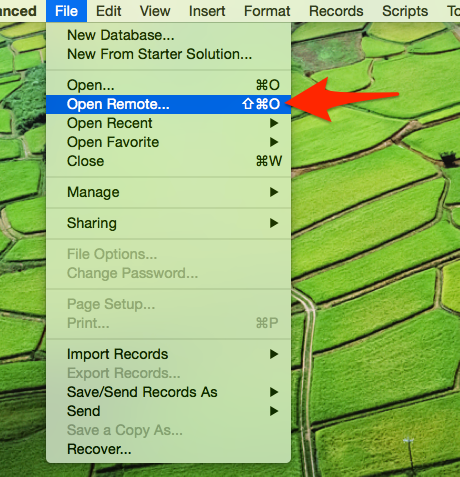 1) Open Filemaker Pro, and choose the File>Open Remote option. 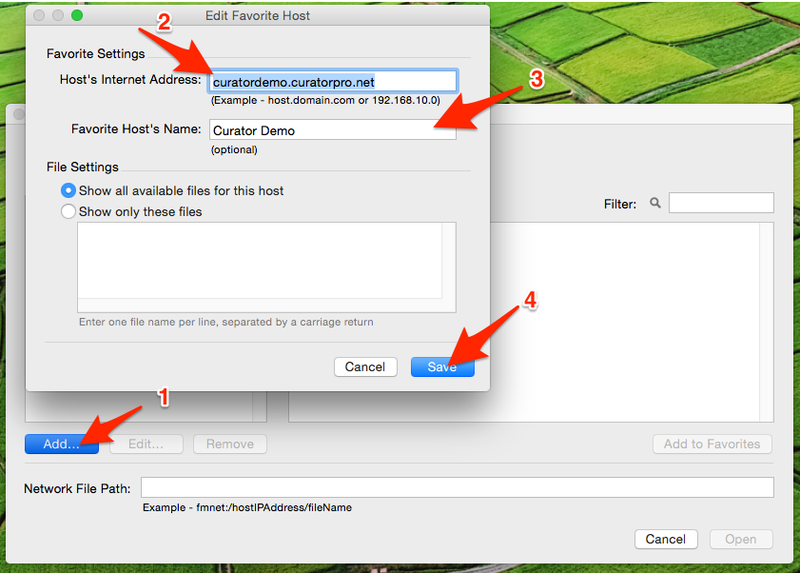 Select ‘Favorite Hosts’ from the ‘View’ option, and then click the ‘Add’ button. Remember to click ‘Remember this password in my keychain (on a mac)’ to store this password on your computer for next time. 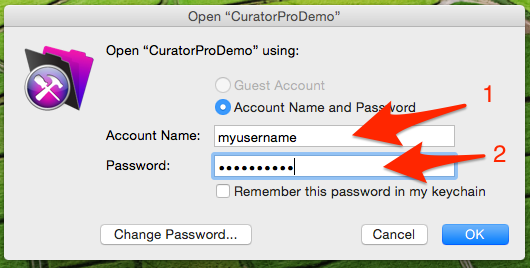 You’ll be prompted for the same username and password again, enter these in, select the option to remember those credentials, and the file will open. Hooray!